Microsoft India will train over 800 teachers of Sri Chaitanya Schools as the schools embark on their digital classrooms program. Sri Chaitanya Schools recently announced adopting Microsoft India’s Edu-Cloud infrastructure and 14,000 Windows-based tablets for their students and teachers of Class 3, 4 and 5 in 80 schools to connect, collaborate, create, and share content, with an aim to make teaching and learning fun. The teachers’ training will be as per the recommended guidelines of the Microsoft’s well-known, global ‘Partners in Learning’ (PiL) program. Microsoft’s PiL program introduces innovative approaches to pedagogy, supports teacher professional development, and provides teachers with the tools to implement and manage change. To drive education reforms across their schools and build teacher capacity, Sri Chaitanya Schools will also use the Microsoft Innovative Schools Program and Microsoft Educator Network. 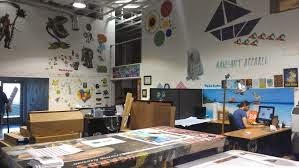 The Microsoft Innovative Schools Program helps district and school leaders embrace innovation and implement technology effectively to support teaching and learning. With this program, Sri Chaitanya Schools will gain access to resources that improve insights to teaching practice for school leaders and educators, as well as content, training and resources relevant to school leaders, with a focus on the most important issues facing education today, including personalized learning. They can also join the global professional learning community of committed school leaders from around the world who share and learn from their experiences by attending the Microsoft Global Forum, Virtual Universities, and other selected invitation only workshops and trainings. The Microsoft Innovative Educator Program increases educator capacity to build crucial 21st century skills for their students through the effective and innovative use of technology. Through this partnership,all educators from Sri Chaitanya Schools will be eligible to earn recognition as a Microsoft Innovative Educator on the Partners in Learning Network, seek certification as a Microsoft Certified Educator, and apply for the elite Microsoft Expert Educator program. 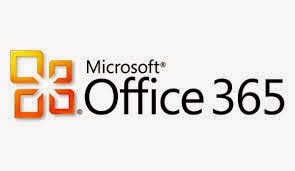 Additionally, they will have access to digital literacy curriculum, Microsoft Teaching with Technology (TwT) workshop and curriculum, access to free tools and software, as well as online professional development programs. Shell India has announced the launch of Shell V-Power, its premium performance petrol, across all itsmajor outlets in India. The high grade petrol that costs Rs 8 more than the prevailingprice of the normal petrol can boost engine performance of all vehicles including cars and two wheelers, the company claimed. 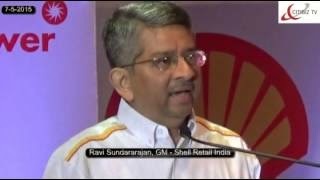 Speaking to reporters here Ravi Sundararajan, General Manager, Shell Retail India said the company had 76 outlets in India and with de-control of diesel prices,the company would chalk out new and aggressive expansion plans. 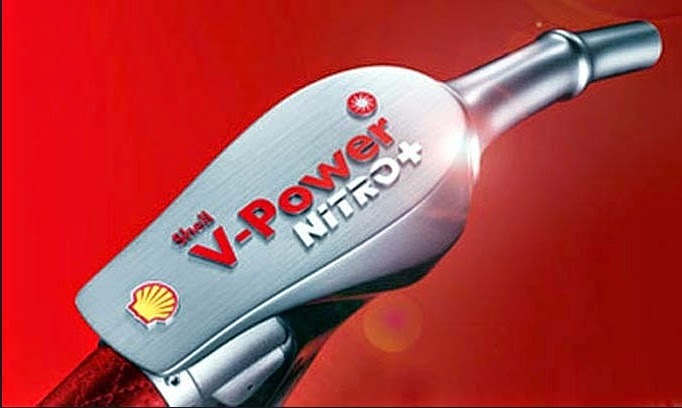 He said V-Power was inspired by Shells technological innovations for Ferrari. This special grade petrol had a unique double action for mulation designed to actively clean the engine and protect vitalengine parts to help deliver more power. Shell V-Power petrol is currently available at Shell outlets in Bangalore, Mysore, Chennai,Ahmedabad, Rajkot, Baroda, Surat and Pune. He said the 'globally acknowledged and successful fuel' had already marked its presence in 67 countries around the world. Our customers have appreciated the quality of fuels at Shell, and V-Power will replace the existing Shell Super brand of premium petrol, he said. 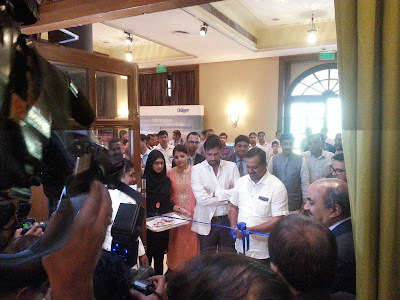 Polaris India Pvt. Ltd., a wholly owned subsidiary of Polaris Industries Inc., the world leader in Off-Road and All-Terrain Vehicles unveiled its two new power-packed ultra-luxury 2015 Indian Roadmaster and the new Indian Chief Dark Horse alongside the opening of its second dealership in India in Bengaluru recently. The showroom inauguration and the unveiling of the bikes were done by Scott Wine, Chairman & Chief Executive Officer; Bennett J. Morgan, President & Chief Operating Officer; Michael Dougherty, Vice President – Asia Pacific & Latin America from Polaris Industries Inc.; and Pankaj Dubey, Managing Director, Polaris India Pvt. Ltd. The occasion was also marked by another symbolic milestone for the brand - handing over of the keys of the new Indian Chief Dark Horse to its first customer soon after its debut in the Indian market. Scott Wine and Bennett J. Morgan also handed over the keys of the legendary Indian Scout to their proud customers. A short, sneak peek of the new 2015 Indian Chief is available on the Indian Motorcycle website (www.indianmotorcycle.com/en-in). “The launch of Indian Chief Dark Horse and Indian Roadmaster coincides with the opening up of our second Indian dealership here in Bengaluru. We are bringing these two iconic products from the Indian Motorcycle stable to the Indian market. 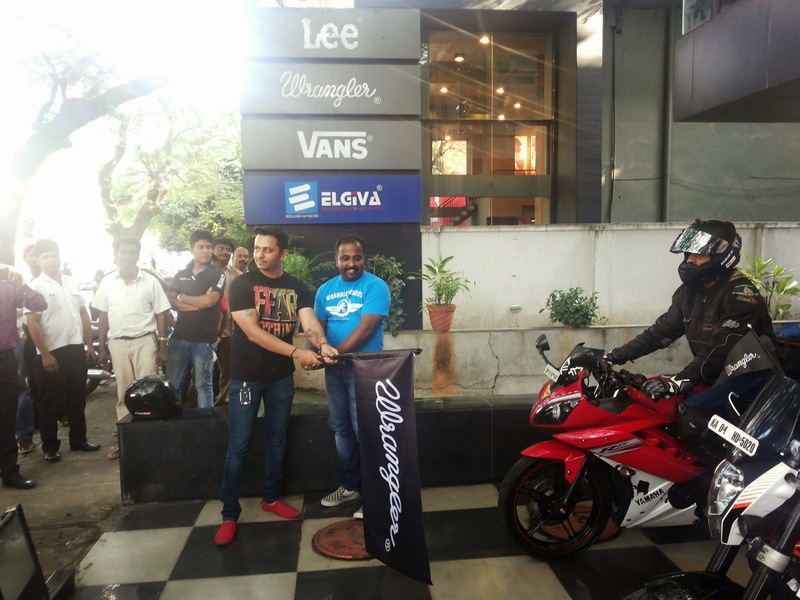 Since the introduction of these motorcycles in the Indian market in January 2014, there has been a lot of excitement amongst the motorcycle aficionados across the country. These luxury motorcycles are generating a lot of interest and demand due to their unmatched quality and dynamic looks. We are quite upbeat about the market here and have further plans for bringing these iconic machines close to your doorstep through more dealerships going ahead.’’ said Pankaj Dubey, Managing Director, Polaris India Pvt. Ltd. The showroom, located at Exquisite Moto LLP, Prestige Nugget, No. 126, Infantry Road, Bengaluru – 560001 will display the entire range of the Indian Motorcycle: Indian Roadmaster, Indian Chief Classic, Indian Chief Vintage, Indian Chieftain, Indian Chief Dark Horse and Indian Scout. The team at the dealership will comprise of trained professionals offering global standards of after-sales and service support to add to the overall experience of owning an Indian Motorcycle. The state-of-the-art showroom combines global architectural standards and infrastructure synonymous with the reputed legendary brand under one roof. 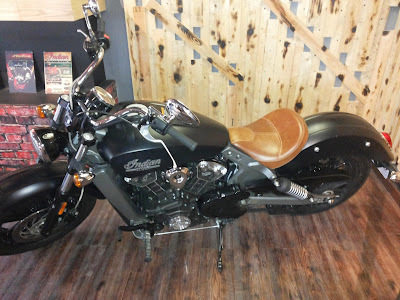 Besides being a visual delight with the entire range of Indian Motorcycle on display, the dealership also boasts of attractive merchandise to enthuse the visitors and customers. INDIAN ROADMASTER: The 2015 Indian Roadmaster reflects pure American luxury. Building upon the iconic Roadmaster name used by Indian in the 1940s, the new Roadmaster re-imagines Indian Motorcycle comfort, styling and performance out on the open road, for the long haul. The Thunder Stroke 111 engine delivers an incredible 119 ft-lbs of torque and feature styling that pays tribute to legendary Indian Motorcycle engines of the past. It comes fitted with Horizon Power Windshield with push-button adjustability to customize airflow, provide weather protection, and reduce glare. Fitted with keyless ignition, the key fob of Indian Roadmaster offers security and convenience. The comfortable rider and passenger seat feature new desert tan leather, designed to withstand the elements. This sealed, high-quality leather is strong and durable, and it complements the traditional Indian Motorcycle style. 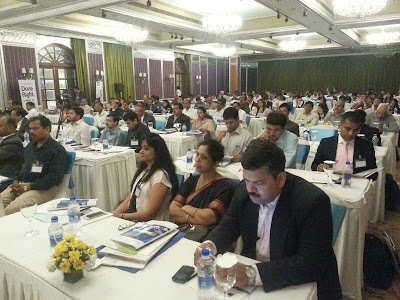 The 3rd Annual Healthcare IT India Summit (organized by Fleming India Conferences) commenced today at the Taj West End Hotel, gathering healthcare experts from across the region to address burning issues and challenges faced by the healthcare industry in the region and brainstorm on future of healthcare technology in the nation. The conference kicked off with an opening speech on ‘Healthcare future under current scenario and resilience with information technology,’ by Joy Chakraborty (Chief Operating Officer - P D Hinduja Hospital & M R C – Mumbai) who is the chair person for first day of the summit. It was followed by opening key note on ‘Healthcare under Modi Government’ by Rajendra Pratap Gupta (Advisor to Union Government). Joy Chakraborty (Consultant- Health Funding Department - Dubai Health Authority), in his session focused on identifying new trends and analysis of the current market situation. The session was followed with a special address by U.T. Khader, Honourable Minister of Health and Family Welfare - State Of Karnataka.’ Niranjan Kumar Ramakrishnan (Chief Information Officer (CIO) - Sir Ganga Ram Hospital, New Delhi) elaborated on Hospital Information Management System, Data Management/Data Governance, HCIT's opportunities and challenges. A presentation by Dr. Prabhat Tewari (MD - FIACTA, FTEE, SGPGIMS, Sanjay Gandhi Post Graduate Institute of Medical Sciences, Department of Anaesthesiology, Lucknow) on data mining in OR and ICU followed. The day concluded with a panel discussion on Strategic and Successful adoption of IT in healthcare – 'The Role of CIO’ was moderated by Puneet Kanodia (Ricoh India Ltd - Chief Operating Officer – Healthcare Vertical, India). Second day of the summit has four sessions. First session of the day is dedicated to Digitization, Cloud based Healthcare and Smart Hospitals. During the session, Sandeep Saxena (Persistent Systems - Business Development Asia Pacific Region) will throw light on Building Smart Hospitals. Second session of the day will focus on Tele-medicine, Sustainable Healthcare and understanding the patient centric healthcare system in which Dr. Shankar Narang (Fortis Memorial Research Institute) will put forth his views on understanding the new age patient, the responsibilities of the healthcare organization towards the patient and responsibilities of patient towards the hospital. Third and fourth session will be on technology for better patient care and interoperability in Indian Healthcare, rationalizing IT in Healthcare and the future of IT in ever growing healthcare industry. Several Healthcare technology solution providers like Vision Solutions, CSC Asia Middle East and Africa Region, Draeger Medical India Pvt. Limited, Attune Technologies, HID Global, Oracle Health Sciences,Tadiran, Diaspark, Merivaara, ABI Health, Ricoh India Ltd. showcased their solutions at the summit. The two-day forum is tailor-made with two years of industry feedback to open the floor to discussion for better understanding of Healthcare IT in India, its issues, challenges and the current technologies in use. The 3rd Annual Healthcare IT India Summit will conclude with closing remarks from the chair Niranjan Kumar Ramakrishnan (Chief Information Officer (CIO) from Sir Ganga Ram Hospital) and a networking session. 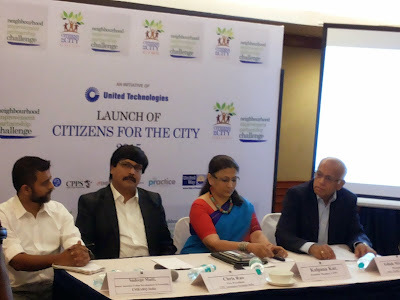 United Technologies Corporation has announced the launch of its sustainable urbanization project, Citizens for the City (www.citizensforthecity.in) by introducing India’s first ever Neighbourhood Improvement Partnership Challenge. UTC’s Citizens for the City project will aid planned urban growth by bringing stakeholders in sustainable urban planning together through research, reports, competitions and other initiatives. The Neighbourhood Improvement Partnership Challenge (The Challenge) encourages citizens to come together to resolve civic issues in the areas of mobility, hygiene and sanitation, safety and energy conservation. The best projects, selected by an eminent jury panel, will share the Citizens for the City Grant, worth INR One crore. The Challenge, under the banner of Citizens for the City, is being implemented by the Centre for Public Problem Solving (CPPS), a division of Imagine Bangalore with support from EMBARQ India. CPPS is a think tank working towards a collaborative approach for problem solving of urban issues. The Challenge also brings together several organisations like BBMP and BPAC involved in solving the city’s civic and urban issues. UTC is funding this program through a leading non-profit organization, United Way of Bengaluru. “Each day, 800 people move to Bangalore. The resulting demands on public infrastructure, public services, and many other aspects of life in the city are high. The ability of government agencies to provide these services is increasingly stretched. 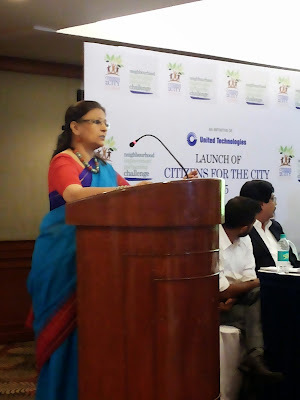 The Challenge will begin to foster a culture of engagement and ownership in neighbourhood improvement projects that are ideated by the people, for their community,” said Kalpana Kar, Founder Member, CPPS. 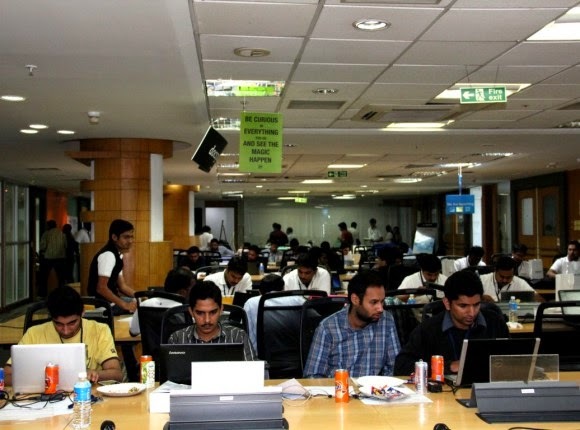 Aimed at evangelizing and mentoring India’s burgeoning start-up ecosystem, National Association of Software and Services Companies (NASSCOM) is set to host the second edition of NASSCOM Innotrek 2015. With 39 start-ups selected for this year’s edition, the program aims to provide this group of Indian technology entrepreneurs & founders, an opportunity to get encouraged through workshops, networking sessions, investor panels, expert roundtables and corporate briefings with subject matter experts and global veterans. InnoTrek initiative has received a very encouraging response from both – the participants and the industry – for promoting entrepreneurship, and providing a learning and networking platform for the participants. The shortlisted will also have the opportunity to learn important lessons on scaling up globally and forge relationships to give them a competitive advantage. Starting May 11th 2015, the program will provide insights into the booming technology markets along with networking opportunities with Silicon Valley investors, entrepreneurs and service providers. It will showcase 38 promising early stage tech startups from India working through diverse domains like ad-tech, mobility, big data analytics, SAAS, etc. The focus this year will be on practitioners networking and peer to peer interaction which will enable startups to learn from their counterparts in the valley. On Innotrek Delegation visit, Mr. Ravi Gururaj, Chair, NASSCOM Product Council said “The U.S. is a large unified market with a single language and a single culture, which allows companies to grow big before they can start thinking of international expansion. Building on our event last year, we are excited to take 40 very promising and innovative start-ups to the Silicon Valley. We want to give them the exposure that will help them not only ‘think scale, but think global”. On the agenda for the week-long trek are workshops, accelerator visits, expert panels and roundtables on growth hacking, consumer & mobile web, and fund raising tips with successful US entrepreneurs, and investors. Entrepreneurs will also get to have a direct first-hand interaction with reputed seed accelerators like 500 Startups, Spinta Accelerator, and YCombinator that have an impressive portfolio of companies that they have invested in and accelerated from across the world. Delegation will also be attending the globally renowned TiECon. A complete day is for campus visits to the corporate offices of global tech giants like Google, LinkedIn and Facebook followed by a Shark Tank where these startups will get the opportunity to pitch to valley investors. Innotrek will conclude with the visit to Maker Faire, to "celebrate arts, crafts, science projects, engineering and the Do-It-Yourself mindset”, basically to encourage out-of-the-box thinking, which is critical for entrepreneurs. After a nationwide search for India’s most passionate bikers, ten winners have been chosen to embark on an epic road trip as part of Wrangler’s True Wanderer 4.0 contest. 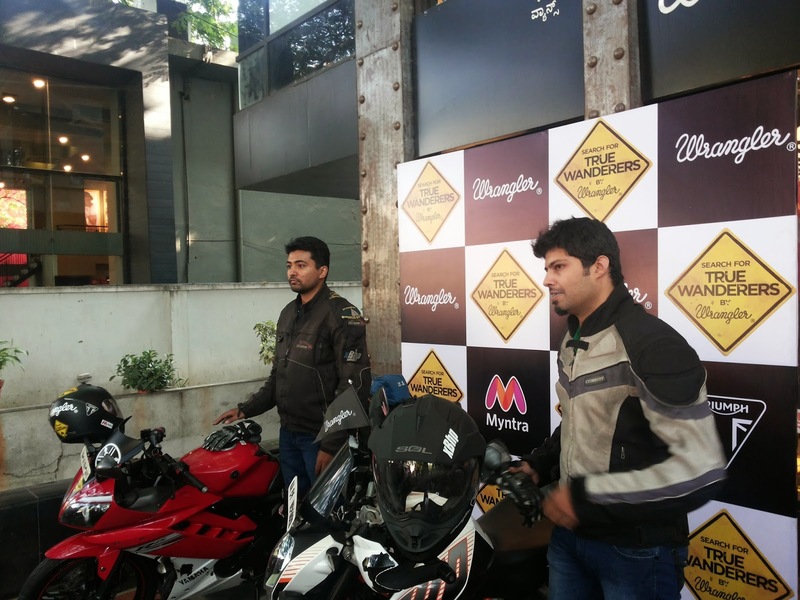 We were present at the Bengaluru flag-off ceremony where Sudhir Prasad and Saquib Ahmad joined eight other journeymen who have embarked on the week-long road-trip all kitted-out in Wrangler’s signature biking-focused denims and tees. All ten riders will provide daily updates on their trip via personal blogs that include write-ups, videos and pictures from the road, all of which can be viewed at www.truewanderers.in. One of these ten riders will also take home a brand-new Triumph Bonneville at the end of their journey based on your votes and the ruling of an expert panel. 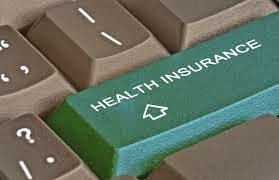 Remedinet Technologies, India’s first end-to-end electronic cashless claims exchange for health insurance, has launched two mobile apps on Windows 8.1 and Android platforms with Microsoft Visual Studio, for making information on the status of cashless health insurances claims easily available to patients and hospitals. Insurance desks and resources working out of hospitals can download Remedinet - Hospital mobile app to access information regarding claims adjudication while patients can download Remedinet - Consumer app to check the status of their claims. The app is available for Windows and Android based mobile devices such as tabs and smartphones. The iOS version of the apps is expected to be available soon. Authorized people from the hospital with valid user ID on the Remedinet platform will be able to log in anytime from anywhere and check the status of their claim. This will eliminate any need to be at the desk all the time. Hospitals housed in large complexes with multiple buildings will benefit tremendously from this app as the hospital staff will now be able to access the progress of the claims through their mobile phone - from any building, wing or department, any time. They can access the entire history of the claim on the app simply by entering either the name of the patient or the reference number of the claim. 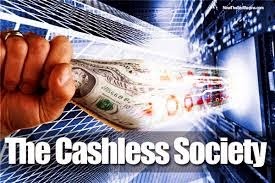 This app gives power to the patients and their family to access the latest status of their cashless health insurance claim at kiosks installed in hospitals. The application is easy to navigate and information can be accessed by entering either the name of the patient or the reference number of the claim. The system does not require the customer to approach the customer service department or the claims office and wait in a queue to seek information. Using this convenient option, consumers can obtain information on their handheld devices as well as enjoy the freedom of access - anytime and from anywhere. Advanced Hair Studio (AHS), a leading hair replacement, hair re-growth company recently conducted a hair care session with Bangalore’s renowned nutritionist Ryan Fernando and AHS ambassador Kate Hallam, Former Beauty queen, Actress and International Model and Wife to Lucky Ali in Bangalore. The session included an informative talk highlighting the importance of simple dietary requirements to get a perfectly healthy scalp and beautiful hair. The session also answered a plethora of conventional myths regarding hair care, highlighted the latest hair trends, advancements in the hair industry as well. Further talking about healthy eating, Ryan Fernando, renowned Nutritionist (Bangalore), said, “Hair, nails and skin are the first indicators for bad eating, where they lose their vibrancy. Therefore, one needs to be very conscious of eating the right foods (fruits, vegetables, grains, dairy products and water) as well as eating the right calories (protein, carb and fats). It is very important for us to determine the nutrients value and accordingly supplement our food intakes. Kate Hallam, Former Beauty queen, Actress and International Model and Wife to Lucky Ali and Advanced Hair Studio brand ambassador while addressing the media said, “It’s high time that we start taking our diet seriously. Increasing stress, erratic sleeping schedules, busy lifestyles, pollution, everything adds to the regular wear and tear of body. Hair being a vital component of our body requires equal attention and dietary needs, as we have noticed it only catches our attention, when we have already lost a major portion of it. I consider myself lucky to have come in the sanctuary of Advanced Hair Studio and their unique procedures that helped me enhance my locks. Their regular hair care sessions on helped me know more about my hair inside- out and increase their luster over the time. We, at Advanced Hair Studio strongly has also devised a unique procedure, called Advanced Fitness Programme, which is considered as one of the best treatments in the world to control hair loss and save existing hair. It also thicken your existing thin and weak hair, re-grow hair in areas where the hair follicles are still alive but not dead, improves scalp condition and improves the texture of hair. Advanced Hair Studio Fitness Program promises to benefit all those who face hair thinning or hair fall problem. This procedure has given results to thousands of clients across the world.